There are many material options for lobby signs! Whether you call them waiting room signs, lobby signs, reception area signs, or interior dimensional letters, one thing is for sure: these signs are the ideal way for any enterprise to invite in customers and build your brand. You can put your bland, bare walls to work for you with lobby signs if you run a health spa, hotel, professional office, retail boutique, or any other organization. 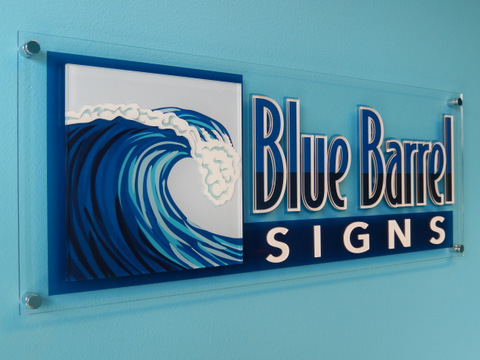 Fortunately, Bend and Central Oregon area companies can count on Blue Barrel Signs to design and install top quality reception area signs. 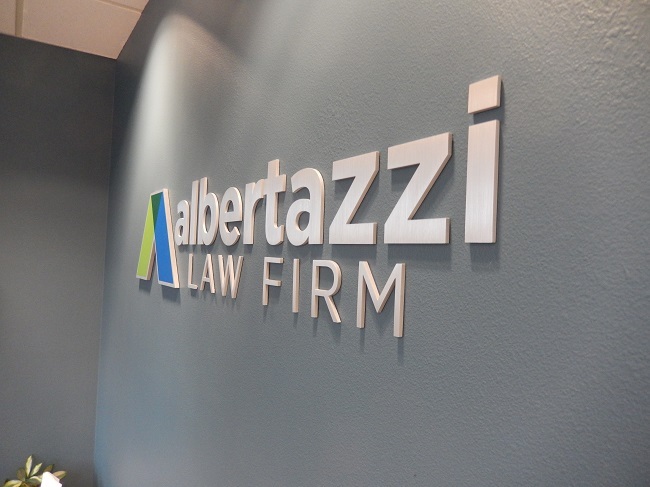 Acrylic letters and logos can be combined with digitally printed vinyl. A dimensional look is achieved by standoff mounting the panel. We can design panels of many sizes and shapes. In addition, there are different thicknesses of acrylic and it can be layered for a huge first impression. Reception area signs can also be made of individual acrylic letters. There are about 30 sharp, glossy standard colors for this lettering. Or, the letters can be custom painted to match your other marketing materials. Your logo and letters can be cut individually to different sizes. The most affordable material option when you want to add depth to your lobby sign is sign foam. This fairly new signage material has taken the industry by storm due to its environmentally friendly and versatile properties. Acrylic laminate adds a classy appearance to these markers, it is also possible to apply digital print vinyl or to digitally print directly to the face. Wood lobby signs appeal to a specific subsection of companies. They add an earthy appearance to any waiting room. Wood lettering can be cut to almost any shape and will last for several years. We offer both metal laminate and solid metal. You can achieve the same solid metal appearance by applying a thin layer of real metal to PVC, foam, acrylic, or other substrates. Your typeface and logo can be matched by routing out each of the design elements. You can also choose from numerous metal laminate colors. Do you have no idea of what lobby sign would work best in your venue? Don’t worry about it! We would love to listen to your goals and vision to come up with recommendations that are perfect for your budget. We will even perform a site survey to get an idea of what will complement your interior décor. From our storefront in Bend, Oregon, Blue Barrel Signs is proud to serve Prineville, Sisters, Madras, Redmond, Lapine, and the rest of Central Oregon. Contact us today for a free quote and consultation on lobby signs for your business!